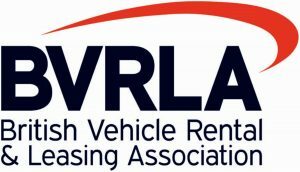 Plans to provide additional financial, policy and regulatory support to UK cities have been welcomed by the British Vehicle Rental and Leasing Association (BVRLA). It comes in response to the publication of the government’s new Future of Mobility: Urban Strategy report. What is the future of UK mobility? The strategy document outlines the creation of four new Future Mobility Zones, supported by a £90 million competition to develop new mobility strategies for the UK. It precedes the publication of the BVRLA’s own Mobility Credits Scrappage Scheme policy paper, which introduces the possible notion of a new ‘mobility credits scheme’. This would see households receive payments in the form of credits for shared transport in exchange for the scrapping of older, more polluting personal vehicles. Director of external relations Toby Poston has welcomed the news, stating that BVRLA members continue to support many urban areas across the UK through “clean, flexible and affordable mobility”. Engaging with local authorities, government and the wider public is therefore important for the body when developing future transport plans to meet the needs of our changing society in the 21st century.